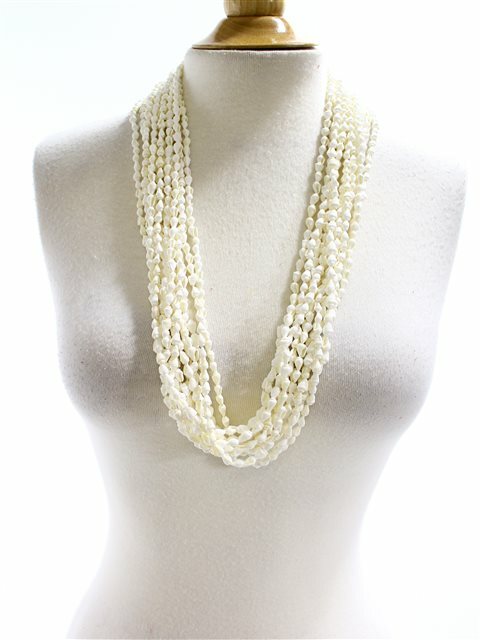 This Nasa White Shell Lei is of approximately 29.5 inch (75cm) in length with 12 strands. I love this necklace. Many of my friends and family who saw this wanted to get one for themselves. Lovely piece of jewellery. Very nice! I love the closure with the ribbon and nuts. Just what I was looking for, as I had to replace this item, that I had worn for years.